Founded in 1863, Politecnico di Milano is the leading Italian University for Architecture, Design and Engineering and one of the most outstanding universities in Europe. The invention is an architectural component of new generation for the creation of continuous high performance curtain wall façades. The invention represents the most advanced performance-based design method taking into account "Multi criteria", as it incorporates design features that improve building energy efficiency, PV yield and user comfort. It is a transparent, medium to large sized complex shape glass tile that can be produced by molding technique, which is relatively economical and environmentally friendly when compared to the processes typical of the production of float glass for the building. It has a central area that can be both transparent and opaque and able to integrate different PV cell technologies and colors. 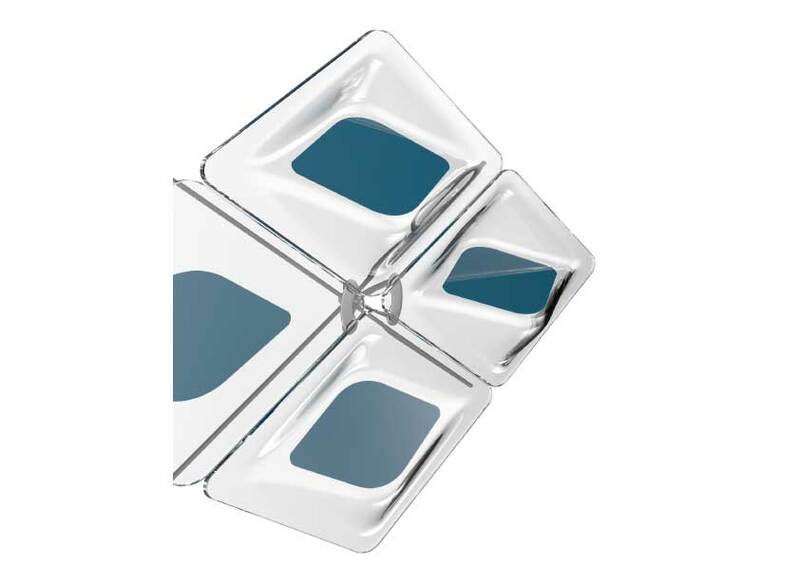 Central area is designed to be rotated at specific angle for each module to control both performance and aesthetic. - create high-performance curtain walls custom solutions with assistance of the most advanced "multi-criteria" performance-based design method. 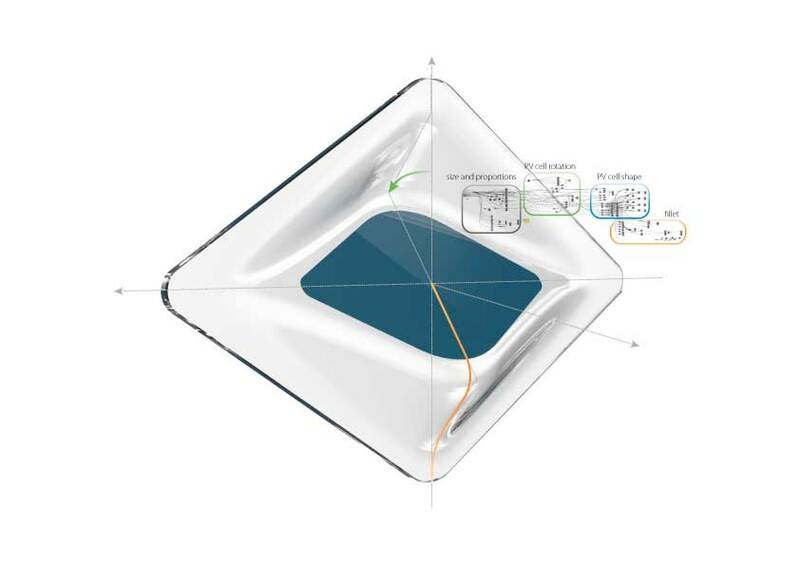 - improve the performance of the photovoltaic modules and building, both for passive (daylighting, glare) and active (such as the generation of electrical power by means of the integrated photovoltaic). - create a variety of configurations within the same typological set, thanks to the combination of only several modules with different PV technologies and rotation angles, combined and distributed in relation to a specific urban context, the environment and climate. The invention relates to a method for the application of photovoltaic modules integrated in a building. The present invention finds application in the field of integrated photovoltaic panels in buildings, namely in the field BIPV (Building Integrated Photo Voltaic).